Looking For A Church For Your Wedding? Congratulations! We are eager for you to know God’s blessings of love in your relationship. St. Stephen’s is pleased to host your wedding service, whether you are a member or not. Please contact the church office for more information so that we can provide you with details regarding the framework of the service, preparation and pre-marriage counseling, fees, and much more. 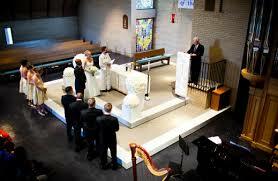 As a Reconciling in Christ congregation, we enthusiastically celebrate weddings for same-gender couples. Visit us to meet our pastor and get your date on the calendar, or submit the form below for additional information.